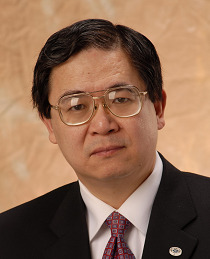 Dr. Gordon Huang is a Tier 1 Canada Research Chair in Energy and Environment, and Executive Director of the Institute for Energy, Environment and Sustainable Communities at the University of Regina, Canada. He holds BSC from Peking University (China), MSc from Simon Fraser University (Canada) and PhD from McMaster University (Canada). Since the 1990s, Huang has led over 150 research projects, produced over 800 peer-refereed international journal papers (with an SCI-based H-index of 51 in Science Citation Index under Thomson Reuters' Web of Science), and supervised over 100 Master/PhD students (with degrees awarded). Over 20 Huang's PhD graduates were appointed as faculty members at universities in Canada, USA, China and Singapore. He is a Fellow of the Canadian Academy of Engineering, and the President of the International Society for Environmental Information Sciences. He also acts as editor-in-chief for Journal of Environmental Informatics (http://www.iseis.org/JEI/), and served the United Nations Development Programme as Chief Scientist for a program of Rural Water Resources Management and Drinking Water Safety. His pioneering work in environmental risk management has been recognized as a significant innovation, and has influenced government and business approaches for tackling environmental challenges and formulating related policies. Prof. Park Chan Jin graduated from Korea University, and got Master and PhD degrees in same university. His major fields of research are the air pollution control, greenhouse gas technology and odor management technology. His another interests is green growth policy. He is now full-professor in Incheon National University at Urban and Environmental Engineering School. Recent research areas are odor pollution control technology, hazardous chemical management and policy of countermeasures against climate change. Kokyo Oh is a senior researcher in Center for Environmental Science in Saitama, Japan. He graduated with his MSci degree and Ph.D. degree (soil science) in Chinese Academy of Sciences, and was honored as a STA research fellow by Japan government from 1997 to 1999. The research areas include soil science, environmental conservation, environmental chemistry, and atmospheric environment. His current research is mainly on soil remediation, environmental agronomy, atmospheric PM2.5 and water environment conservation. He has published more than 90 publications.